The name (or rather, stage name) Cardi B is all too familiar to 2018. This year alone, the pop/rap sensation sold millions of records, accumulated just over 38.6 million Instagram followers, and made appearances on all of the most popular talk shows. 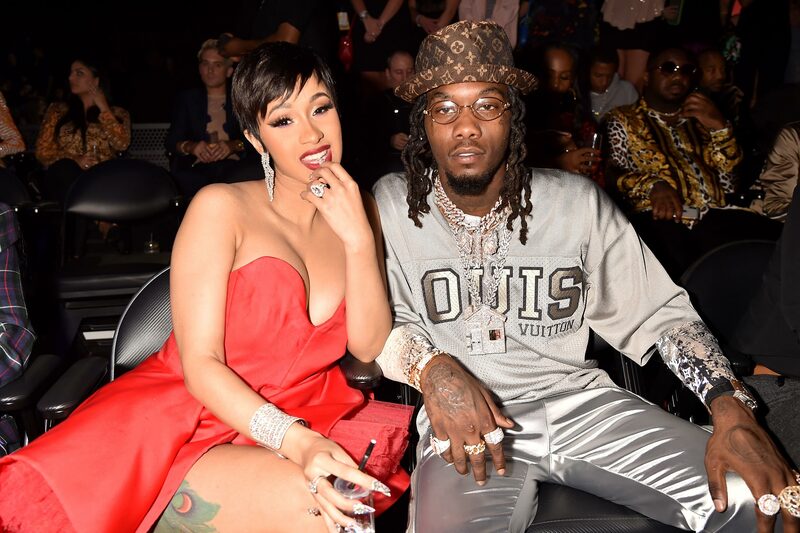 Yet at the beginning of this year, thousands rushed to social media proclaiming that she was “cancelled” after she publicly defended her boyfriend Offset’s song lyrics, which included “I don’t vibe with queers.” Though Offset stated that he was unaware that “queer” was synonymous with an LGBT identity, fans were outraged that their idol had partaken in what they perceived as homophobic behavior, promising to never listen to a Cardi B song again, unfollowing her on social media, and withdrawing their support from all her endeavors. “She’s cancelled,” they said. This anecdote is one that hundreds of celebrities are familiar with in our era. When beauty guru and male covergirl James Charles tweeted “I can’t believe we’re going to Africa today omg what if we get Ebola,” “cancelled” was the most popular comment on his twitter feed as supporters responded to what they viewed as an ignorant and racist comment. When YouTube sensation Logan Paul filmed himself and his friends laughing at the dead body of a suicide victim in a Japanese suicide forest and uploaded it to his vlog channel, he lost thousands of subscribers every day afterwards as the “cancelled” whispers got louder and louder. And when Kanye West aligned himself with President Donald Trump, he upset much of his massive fan base, eliciting the word “cancelled” from thousands. The list goes on and on and on. Jennifer Lawrence was cancelled for scratching herself on sacred Hawaiian rocks and laughing about it in an interview. Beyonce, Rihanna, and Katy Perry were all at some point “cancelled” for cultural appropriation. When celebrities are culturally insensitive or exalt beliefs that the public perceives as politically or socially problematic, fans and critics take to social media to proclaim that they are “cancelled.” This has happened so often recently that many have began to view this aspect of our attempt to create a politically correct society as “cancel culture,” or a culture in which celebrities that are viewed as problematic are shut down completely. But when we look at the names that were mentioned above, almost all of them are still beloved celebrities with financial stability, public support, and fruitful careers. And that’s the first pitfall of the so called “cancel culture.” Throughout history, our economic and political sectors have been intrinsically intertwined through the power of the consumer. From the Boston Tea Party to the Uber boycotts of today, American society has relied on the economic power of the citizenry to drive important political decisions or, as in this case, to simply condemn a political or social belief through punishing the entity harnessing that belief. And for the former half of our nation’s history, it worked. Consumers got what they wanted, whether that meant concrete structural change or the downfall of an organization or individual. In today’s arena of pop culture, the consumers are the millions of people who listen to music, watch TV, and buy magazines, and the currency in the transaction isn’t just money—it’s downloads on Spotify, support on social media, subscriptions to platforms with shows our celebrities star on, and more. But this time, consumers just aren’t willing to put their money—or not put their money—where their mouths are. Whether the celebrities mentioned in this article or the hundreds of others that have been deemed problematic are actually problematic or should be held accountable in some way (which I will get to later) is not what is important in this case; rather, it’s the fact that deeming a celebrity “cancelled” isn’t actually helpful in any way if said individuals continue to subscribe to their content. That’s not to say that nothing happens. If the crime seems to be big enough to the court of public opinion, TV shows are cancelled, the celebrity gets less jobs, and often loses a few thousand followers as networks and labels are afraid to continue to support unpopular figures. But to say that a social media user’s one-word post fully cancels someone’s career would be to overestimate the power of consumers—or rather to overestimate their ability to match their beliefs and subscriptions. This fundamentally boils down to the question of whether we as citizens will continue to use services or enjoy products (in this case, TV, music, movies, etc. that said celebrities are a part of) despite fundamentally and morally disagreeing with beliefs or behaviors they have espoused or displayed. Can we look the other way because we enjoy the content or if it is convenient for us? The answer seems to be yes. Most people I know will continue to Uber even if they disagree with the actions of the company and its CEO, and likewise will still listen to Kanye West, follow him on Instagram, and attend his concerts, despite disagreeing fundamentally with what he says. To many, you can separate the art or the product from a celebrity’s character. So if “cancel culture” isn’t really a thing, and if it doesn’t actually do anything or shut down the behavior or beliefs that someone is espousing, then what is its use? I don’t think that I—or anyone else—truly accepted even a couple thousand whispers of the word “cancelled” as completely tanking a megastar’s career. But the problem with this word lies in the implications of the word itself. “Cancelled” means an ending, and it assumes a dichotomy of ignorance and self-awareness that simply does not exist. I am fully in support of withdrawing all support from individuals in cases such as sexual harassment or violent beliefs (Nazism, etc.). But when individuals who commit actions that are deemed culturally appropriative or insensitive or make comments that they were unaware were offensive one time, symbolically “cancelling” them does a disservice to both the individual and our culture. It refuses the individual the opportunity for growth, symbolically ending support in all of their endeavors and thereby preventing them from proving their ability to learn from their mistake and better themselves because of it. And it sends the message that in our politically correct culture, one mistake makes you a bad person unworthy of support. In other words, even if we choose to keep cancelling, or saying that we will withdraw all support from an individual, we should stop doing it so much so that it becomes meaningless. And, when we believe that the beliefs or actions espoused or committed by the individual are so bad that we would actually, not just symbolically, like to see them never supported again, we should materially withdraw support from the individual, letting our discontent with their behavior reach beyond our social media pages. I’m not saying that we shouldn’t call out celebrities on social media, but rather that we should reframe the narrative when we do so to encourage thoughtful discourse and potential for change rather than anger and polarization. A great example of a celebrity who learned from media concern is Emma Watson. The young actress got hit hard when supporters claimed that she exemplified “white feminism”—a form of feminism that is non-inclusive. Ever since, she has worked tirelessly to educate herself further and include this new definition of feminism in her work as a goodwill ambassador. While not every celebrity will respond to constructive criticism like Watson, I bet we will get further with an urge for reconsideration of one’s choices and support in doing so than in dropping the word “cancelled.” One of the reasons that we have such anger and polarization surrounding issues like cultural appropriation is that whenever a celebrity exemplifies what one group perceives as cultural appropriation, instead of opening discourse on how we should define the term or encouraging the celebrity to rethink their choice, comment sections are filled with angry fights and cancellations. Even if the economic and public ramifications of cancelling are miniscule, the symbolism of the word, and the tension it provokes, inhibit growth and social progress, which is, ironically, the exact objective of the word. And finally, upon examining cancel culture, we are also forced to think about the role that celebrities should play in our political and social sphere. Many stars use their platforms to promote causes they feel passionate about, whether that’s support for a certain politician, mental health initiatives, a social justice issue, or beyond. And while that’s admirable and completely their rights as citizens themselves, our culture may rely too strongly on celebrities to exemplify the “right” political or social belief or lead change for a certain initiative, even when they are not properly educated on said issue. But this just leads us to the question of whether celebrities should always use their platforms for political and social beliefs. Really interesting commentary about social media and current events, Sarina! This is really well-written.